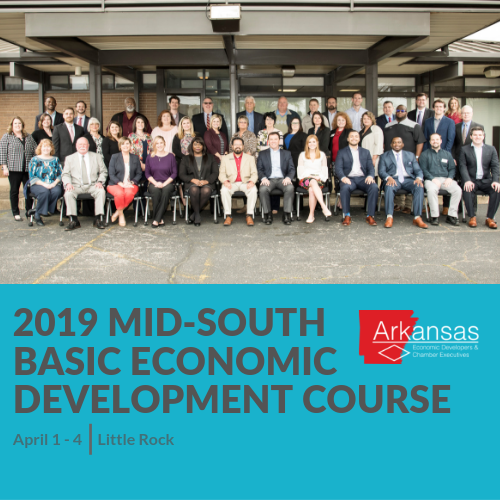 There are still a few slots available for the 2019 Mid-South Basic Economic Development Course to be held April 1 - 4 in Little Rock. Fully accredited by IEDC, this course is designed for community leaders who participate in the process of community economic development at all scales–local, regional, state, and federal. The course includes elected officials, government agency staff, planners, utility and transportation personnel, business leaders, real estate developers, other community volunteers, educators, and chamber or economic development organization professionals and their staff. 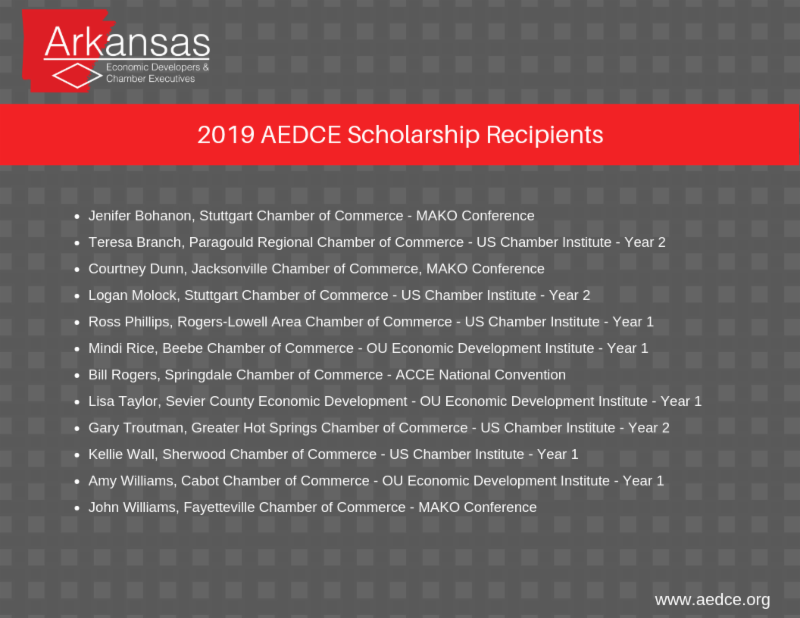 Congratulations to the 2019 AEDCE Scholarship Recipients! 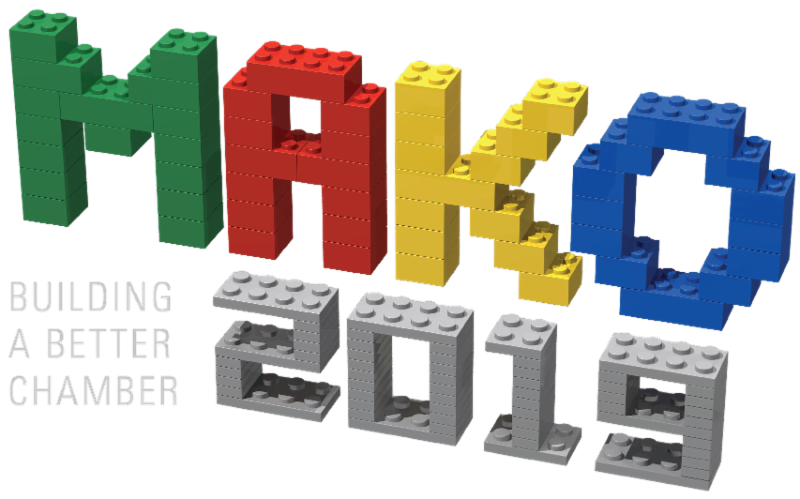 The MAKO Conference is an annual conference designed for chamber of commerce professionals from Missouri, Arkansas, Kansas & Oklahoma. This four-state regional conference will be held April 14 - 16, 2019 in Branson, Missouri. Registration is now officially open and the hotel is also accepting reservations. To learn more & register, please click the conference registration button below. The State Chamber/AIA 60th Annual Washington Fly-In & Congressional Dinner will be held May 8-10. Events will include a Chiefs of Staff Reception, U.S. Chamber briefings, a Senate Delegation Forum, a House Delegation Forum, the Congressional Dinner & Reception and a Leadership Breakfast. ExporTech is a national 12 week export training and development program helping companies enter or expand in global markets. 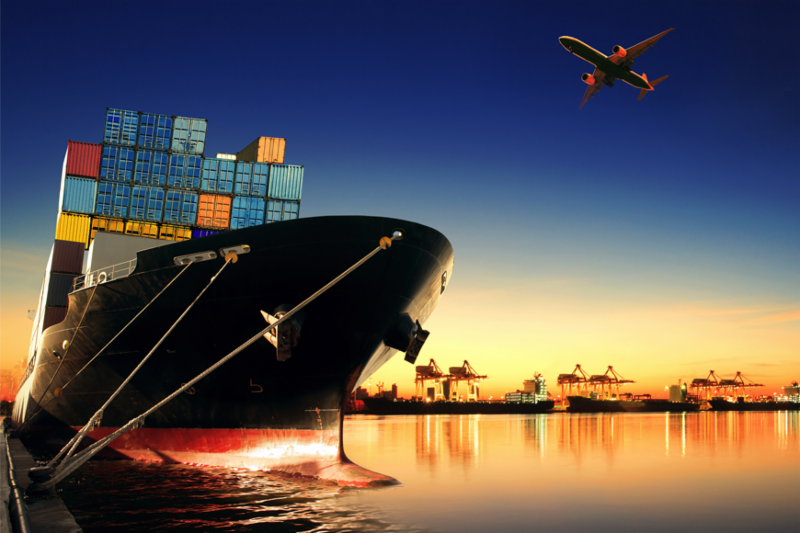 ExporTech applies a structured export strategy development process that assists 4-8 companies to accelerate growth. It is the only national program where each company develops a written export plan that is vetted by a panel of experts upon completion. If you know of companies interested in growing their export potential, please refer them to the ExporTech training program! 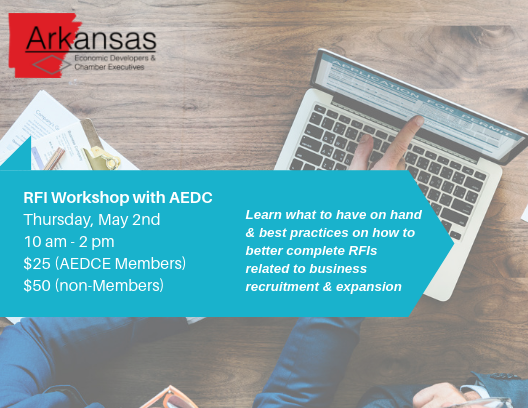 Contact Rudy Ortiz at AEDC for more info. 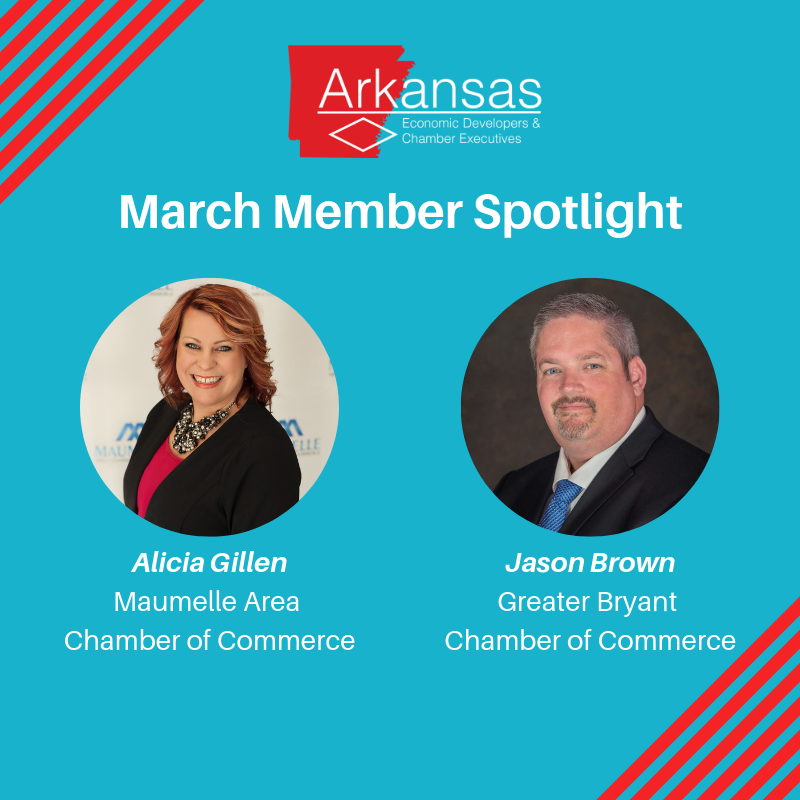 We are pleased to feature Fort Smith as this month's Community Spotlight! If you haven't been to Fort Smith lately, be sure to get there soon! It has the perfect combination of history and the future plus some awesome recreational and outdoor features thrown in too. 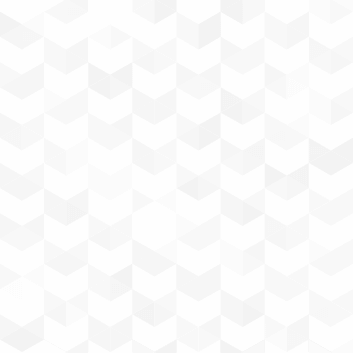 Oh, did we mention their thriving business community? 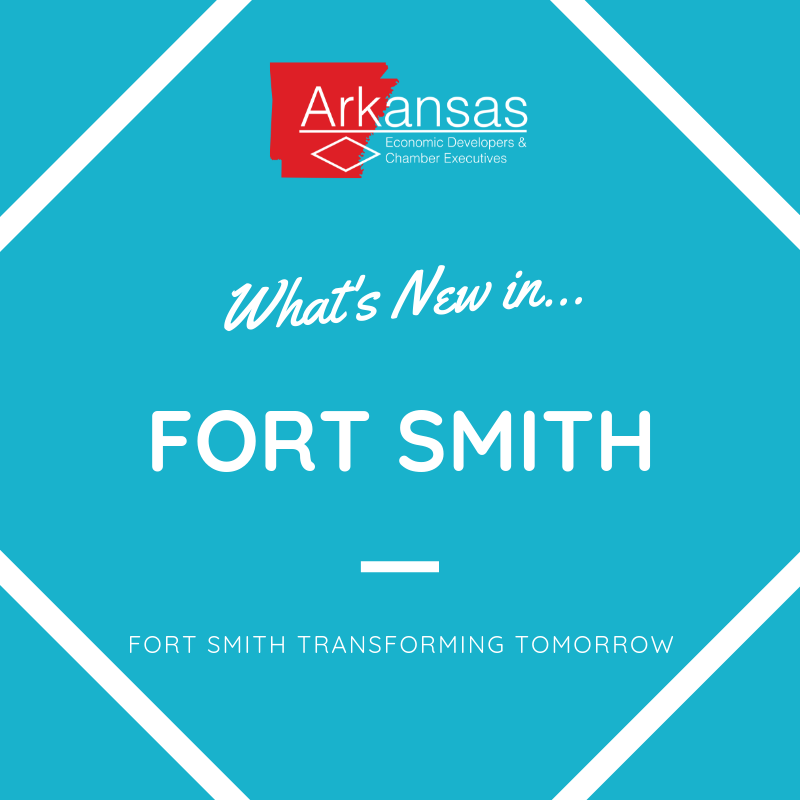 Fort Smith is truly Transforming Tomorrow! 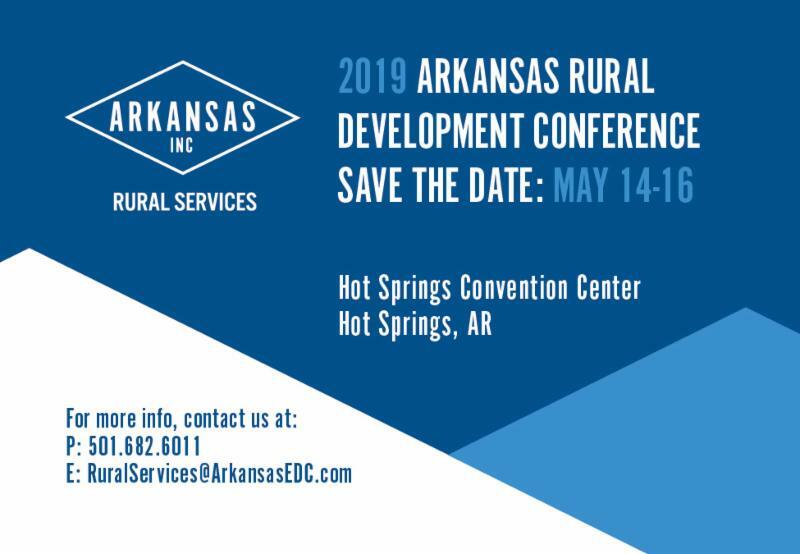 The objective of the conference is to share information about the programs and services that are available to assist local communities and their leaders with development, planning, and revitalization efforts. The theme of this year's conference will be Connecting Communities in the Emerging 21st Century Economy. 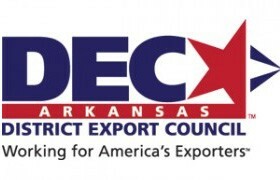 The Arkansas District Export Council (ArDEC) is accepting applications for the 2019 Governor’s Award for Excellence in Global Trade to recognize the exporting success of small, medium and large Arkansas companies. Applications are being accepted until April 26.